There are 2 cat videos tagged with koi. Timo makes friends with a large koi fish... or so we like to think. He bats at the fish's mouth and the fish appears to be kissing him. 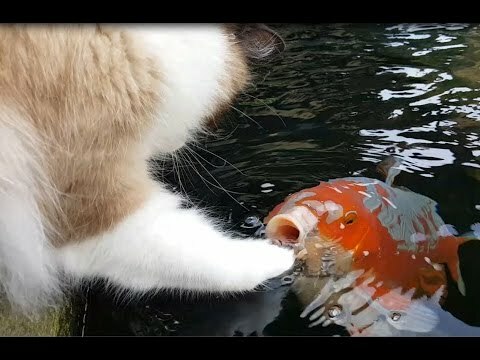 Although, it's more likely the cat was trying to have a snack and so was the fish! Timo makes friends with a large koi fish... or so we like to think. He bats at the fish's mouth and the fish appears to be kissing him. 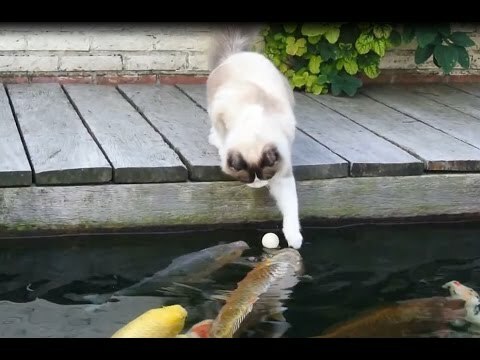 Although, it's more likely the cat was trying to have a snack and so was the fish!